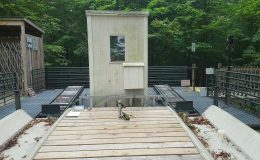 Clever use of our DuraGates sliding gate hardware Model CGS-250.8M. 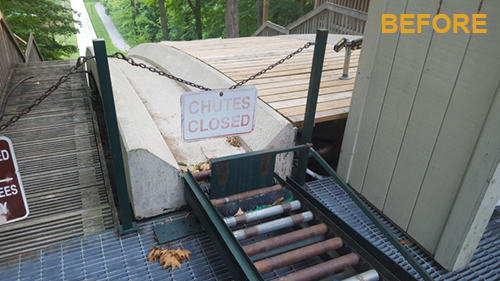 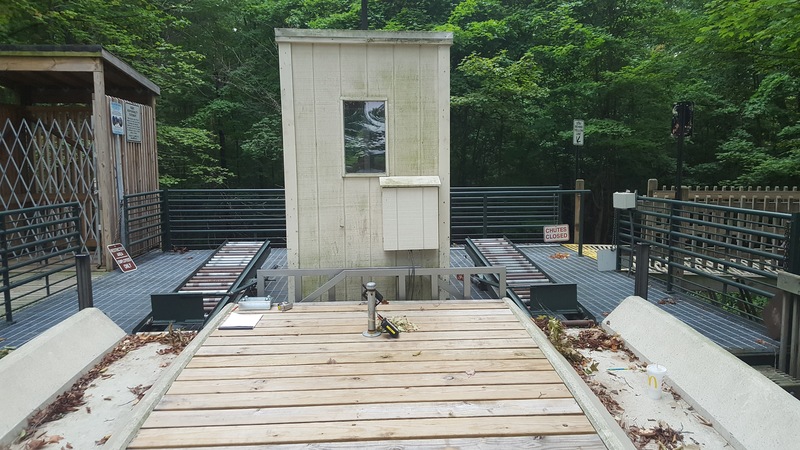 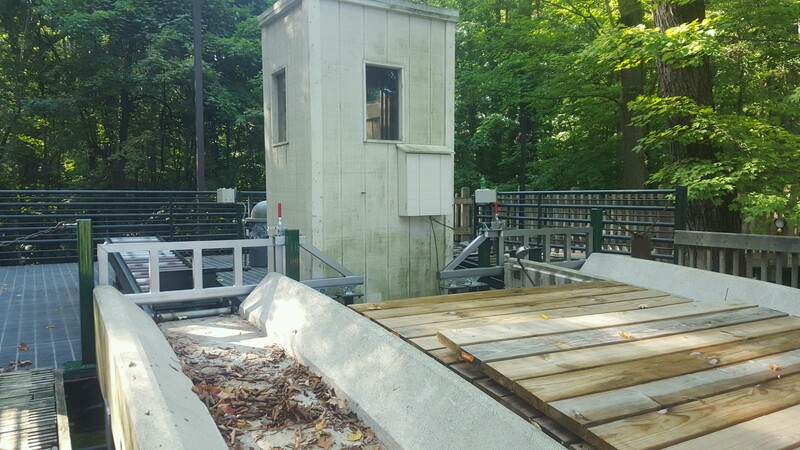 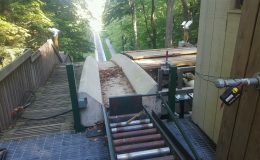 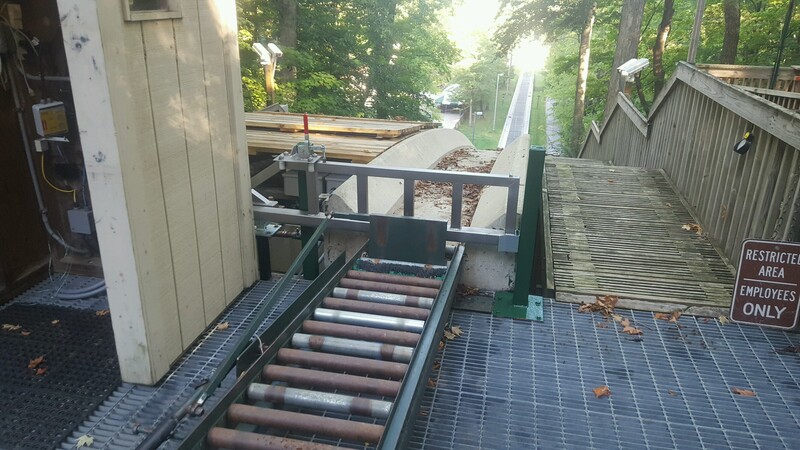 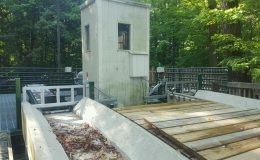 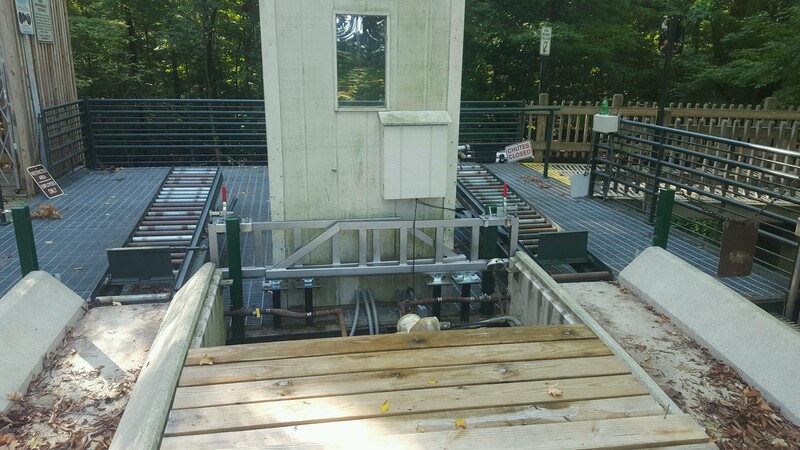 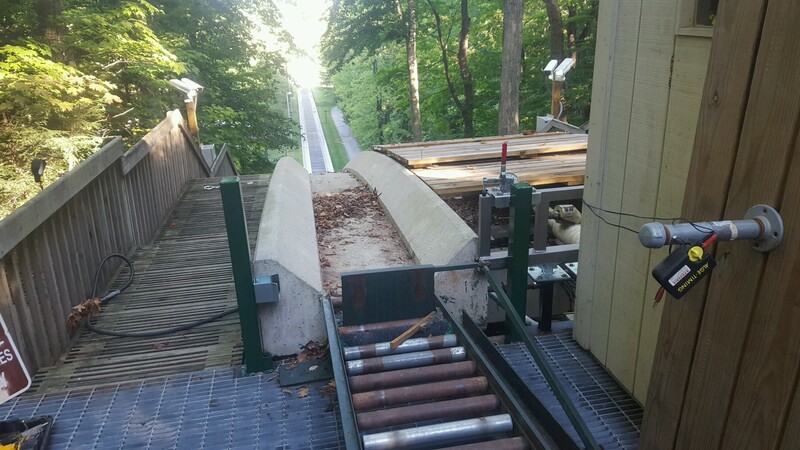 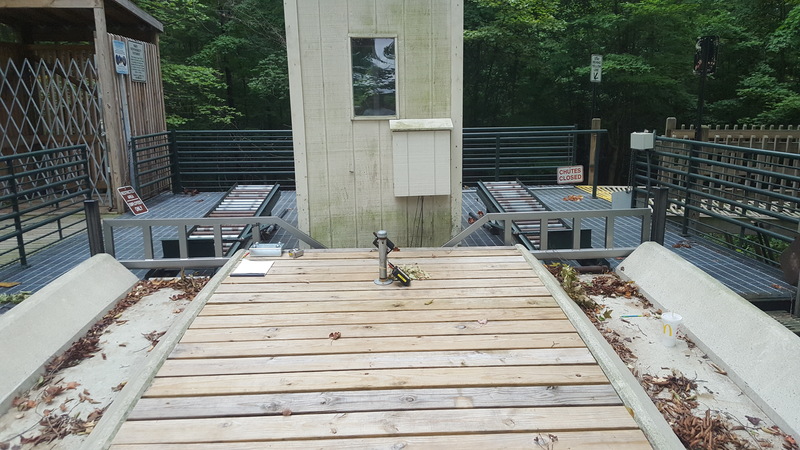 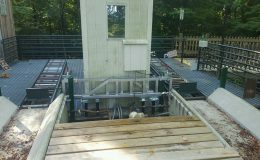 The team at Cleveland MetroParks installed two DuraGates systems for the parks two toboggan chutes. 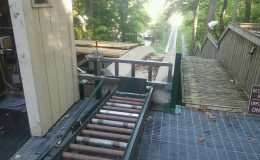 In the "before" picture notice the chain across the chute area, a cumbersome task for the assistant to move each time. With the gates installed, simply unlock and slide out of the way of the chute. 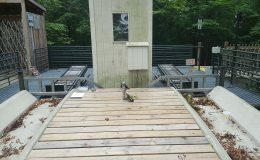 When the gates are fully open they tuck in neatly behind the maintenance shed.